Total Gas & Power Ltd is located in the heart of London’s Docklands, close to Canary Wharf. The area is well known for its modern, eye-catching buildings which are inspirationally designed both inside and out. Total Gas & Power is one of the UK’s leading energy suppliers to the business and industrial sector. It’s part of the Total Group, a global organisation with a renowned reputation as a market leading gas and electricity supplier. With such a reputation for excellence, it is no wonder the highest standards were demanded for the recent fit-out of their city offices. 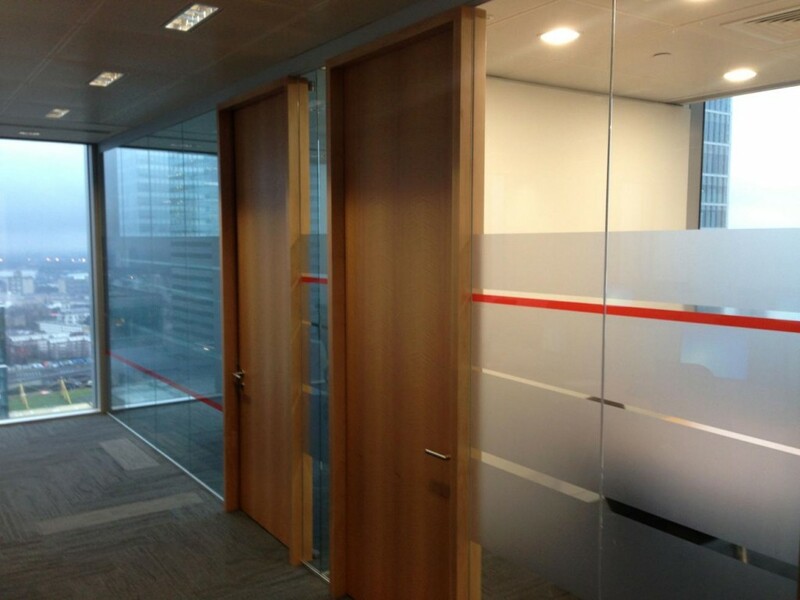 Part of the work called for a selection of bespoke veneered fire doors. 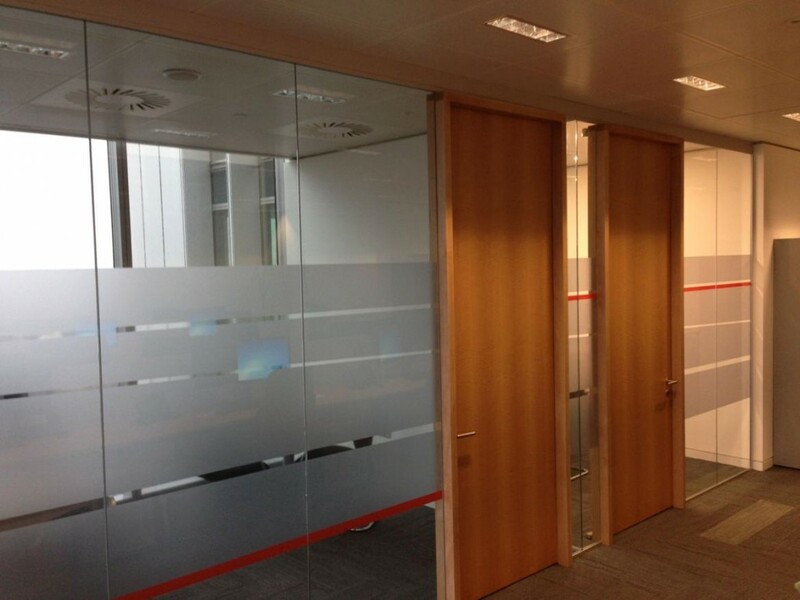 The doors were crafted by a commercial interiors specialist. They wanted to make sure that a superior finish was achieved: one that would exude quality and demonstrate to visitors and employees alike that Total Gas & Power was a company of distinction. There was no room for standard, manufactured off-the-shelf work here. The bespoke veneered fire doors were sent to us for veneering and, for the ultimate in elegance and effect, alder was the wood species of choice. It’s a wood well known known for its beauty and durability. 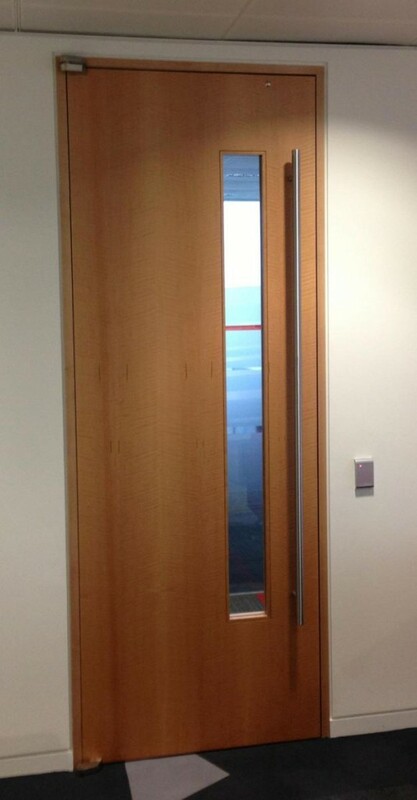 We used a figured sequence of veneer cuts to ensure the grain of the wood was matched to perfection from door to door. If you take a look at the photos closely, you’ll see how the grain runs horizontally, and how it’s consistent from door to door. 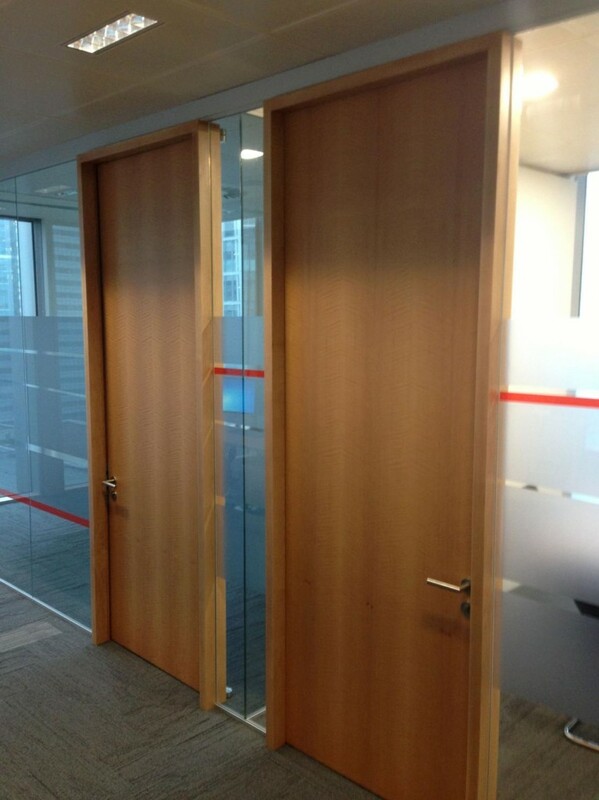 We were responsible for ensuring the matching was absolutely spot on so that, from wherever you view the bespoke veneered fire doors, from any angle, the grain matches beautifully. It’s just the sort of standard of perfection that a company of this calibre demands, and that goes for Read Veneers too. If you are working on a project for a prestigious client and need a superior quality service and level of expertise to produce striking effects, please get in touch. We’d be delighted to discuss ideas and requirements.